Server rack cable management is a finicky thing. In addition to a better organization of the fiber cables and power cords within racks, you have to run them orderly in a vertical direction. 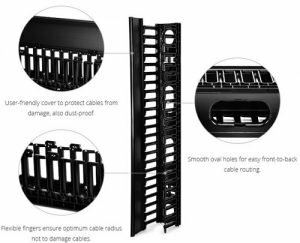 Vertical cable manager is an important role for cable management, which will hold the cables snugly and safely to ensure smooth data transmission. Here focus on single-sides vertical cable manager for 45U server rack. Additionally, pulling behavior is inevitable during cable installation, so using vertical cable management to define the vertical cable routing paths is of great importance, which will be the physical protection of the installed cables. Vertical cable organizer is similar to the horizontal cable category except for the orientation. Just as the name implies, a single-sided vertical cable manager is perfect for keeping cables along a single rack or between two bayed racks. Here is a sample from FS.COM. 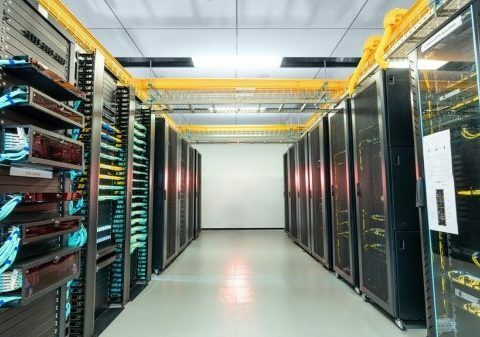 This 45U equipment is specifically designed to readily manage the challenges proposed by the data center’s high volume and density cabling system. It features contoured front door with easy-open knobs. Made of PVC material, the manager has plastic T-shaped cable fingers only on the front, which complies with RoHS standard. You can use it to support and manage large bundles of cables on the front rack. Besides, it has smooth oval holes that allow cables to come out wherever they are needed. 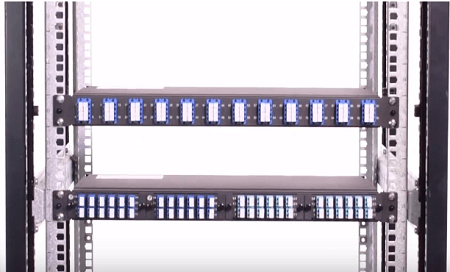 Creatively, this 45U cable manager is composed of two 22.5U sections. Thus, you can utilize them to combine a 22.5U dual sided vertical cable manager. First, we should install the single-sided vertical cable manager. Adjust the vertical mounting rails and identify the mounting slots, then install the finger directly onto the manager backbone. Don’t forget to insert the specially designed keyed brackets into the complete vertical cable manager. Last, manage the cables on the rack to go through the fingers, and space is enough for both fiber and copper cables. Finally, remember to close the cover to protect the cables from dust. Vertical cable manager is the perfect way for holding cables, which ensures everything is neatly and safely in place. Why Should You Choose a Wall Mount Rack & Cabinet ? 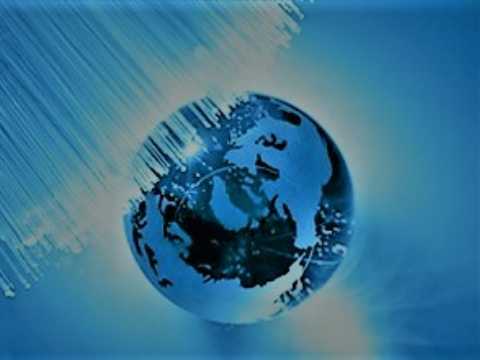 ← How to Select the Right Rackmount Fiber Enclosure?